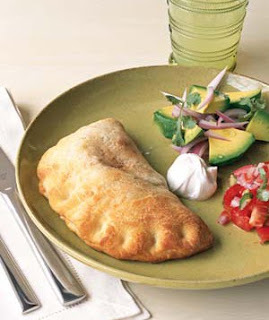 Besides America's Test Kitchen, Real Simple is another recipe resource I go to especially for easy, quick recipes. I was introduced to Real Simple in Boston soon after it launched as I was considering it for one of my client's advertising campaigns. I remember not being familiar with the magazine, and one of my teammates convinced me to start reading it, and I've been hooked ever since. I don't get comps like I used to :-( but whenever there's a good issue I pick it up off the newsstand. You can find it at The Container Store too - another bastion of type A-ness! Anyway, a couple weeks ago I remembered in Boston I used to like to make their empanada recipe and thought to try it again. It's non-traditional as it's baked instead of fried and it's meatless, but since I've been eating SO much red meat lately I thought it would be a good balance. 1. 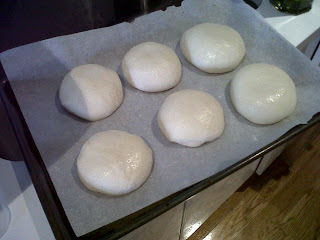 I start out with Peter Reinhart's dough recipe; I keep in 6 balls instead of the usual 3 which I make for pizza. 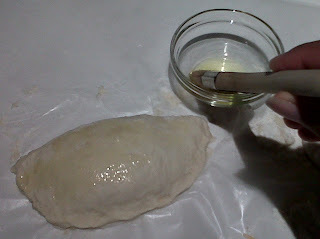 One ball of dough makes 2 empanadas. 2. 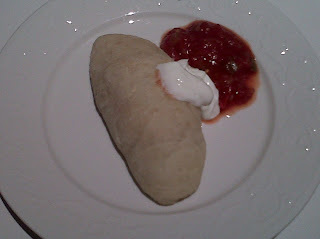 I use organic salsa and Amy's Organic Refried Beans for the filling; I used to use Old El Paso, but decided I needed to forgo the lard. 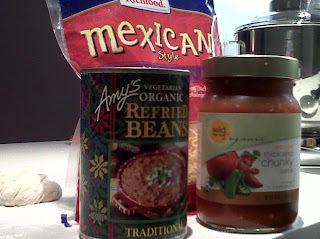 Amy's beans are surprisingly really good (I'm not a fan of the vegetarian chili though!). 3. 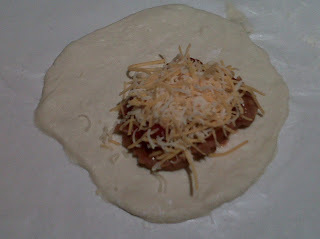 Next, I stuff with the beans, salsa and cheese then brush with olive oil. 4. After 15 minutes on 400 degrees I'm ready to eat it with a bit of salsa and reduced fat sour cream on the side (I used to dislike sour cream, but since Baby Agbai has taken over my body I love it!). Looks a little pale, I know, but it's yummy! 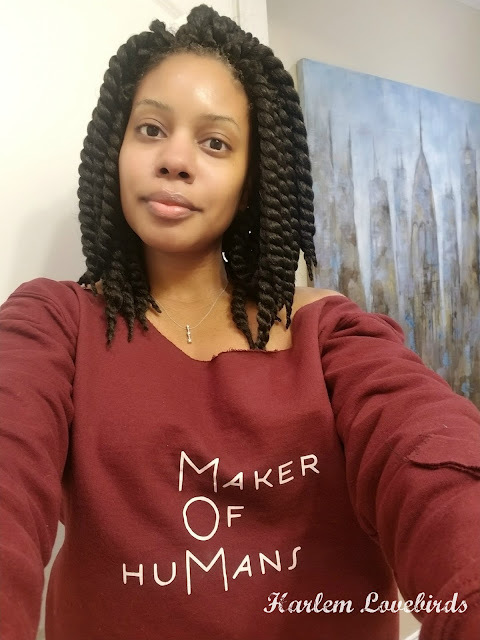 Quiana: I have a great beef empanada recipe courtesy of Ale's mom if you'd like it. 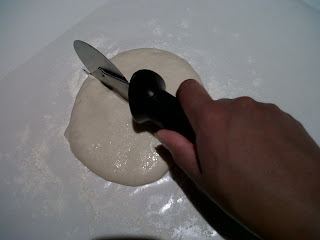 I could always come over and do a demo so that you know how to do the folding. There's a great new Argentine cookbook called "Seven Fires" that you should check out. I just bought it for him, and I am sure he's going to be homesick.